In relation to the throne of primes comment yesterday, I have access to a high quality printer that can print directly on sheet styrene or metal. I'd be interested in running a print or two if you'd like. Oh good to know! If I manage to get mine scanned I'll hit you up! any plans to continue your scramble-buck project? Absolutely! Working on a new version currently. Are your display tiles still available? Hi, I put a link in your thread to a video of the show online that shows the sword in the actual show - I think there's a episode where Optimus and Megatron have one each and I don't know if the extending arms are featured or not later. 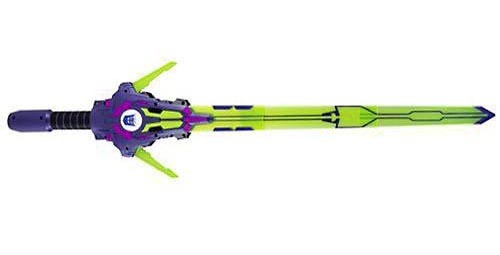 But as you can see in that link and pics I added the sword in the show is clearly inspired by the kids role play toy energon sword. Oh nice what scale did you go with ? Oh and a lot of people seem keen on leg cannons for Perfect Effect's warden if your interested in that at all. I suspect extra interest in that would be gained if the guns also helped support the main cannon in tank mode better too. My 1st interest would be a Voyager Lio Convoy scale "Convoy Cannon" (see the one that comes with Robotmaster Lio Convoy) and the Energon Saber design for Energon /Superlink Megatron. I think both were shown on the cartoon and both had retail toys as kids RPG items so the reference material should be doable I guess. and someone has already made the sword only it was very expensive. I'll wrack my brains and see if anything else springs to mind at all. Very cool! I hope people make a good discussion out of it. I think it will be a great starter resource. Feel free to make anything like that. I'll be glad to source it! Yeah man, same here. It was a fun. You guys were a lifesaver with the water! Really appreciate it bunches!! Pretty much anything that was sbot at the sbow besides people's "hauls". Hey, do you have any photos from Charticon?